(from left) Gary Edwards and Verne Windham. 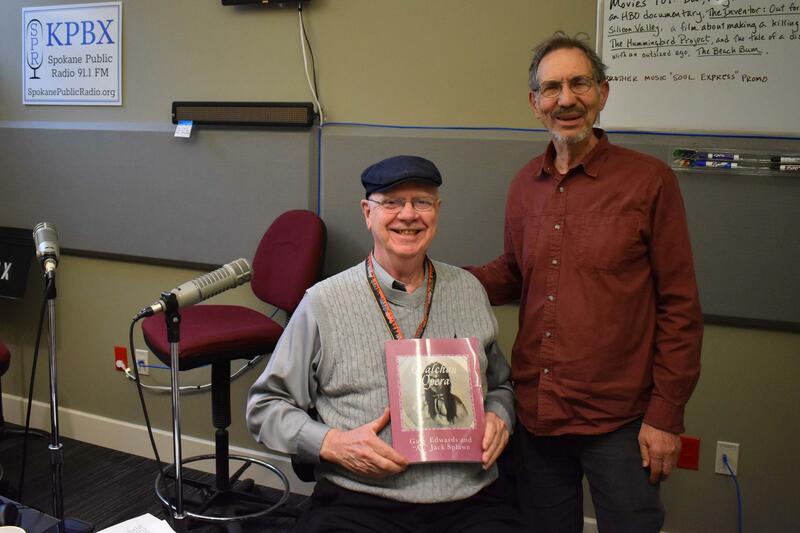 Composer Gary Edwards came for a chat in our studio today preceding the EWU Music Department's presentation of “Unfolding Creation: New Operas in Concert,” a recital in which excerpts from his work will be performed alongside those of other Pacific Northwest composers. The concert will be at 7:30 PM this evening in the EWU Music Building. Arthur Arnold, currently music director of the Moscow Symphony Orchestra in Russia, is one of five candidates for the position of music director of the Spokane Symphony. He will be the conductor of the program, "Classics 8: French Mystique," on Saturday and Sunday.